This prophecy, recorded in the last book of the Bible, is a revealing look into the very near future. It establishes that the final conflict between the forces of Good and the forces of Evil will be over worship. The fact that the battle over worship figures so predominantly in the prophecies of the final conflict, implies that there is something different, two warring beliefs,in the realm of worship previously not on the stage of World Religion. In recent years, increasing light on the Sabbath has revealed a long-forgotten truth: the fact that the Biblical seventh-day Sabbath cannot be found using a pagan calendar. Only by using the ancient Hebrew calendar, the calendar of Creation, can the true Sabbath be found. Various objections to this new and very startling truth have been raised. 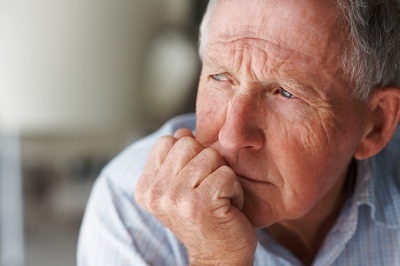 Some people rush to their pastors with the eager inquiry: "Are these things true?" Others are confused by apparent contradictions. Many articles and videos have been produced claiming to show the "error" in the lunar Sabbath belief. A careful examination of Scripture reveals the truth. In the light of Scripture, the "proofs" against the lunar Sabbath are found to be inconsistent with Scripture, history and the manner in which Yahuwah works. Following are 10 common objections raised against the Biblical Lunar Sabbath, and their respective Answers. OBJECTION #1: "If the lunar Sabbath is true, why haven't we heard about it before? This cannot be true because God would never allow the Sabbath to be so completely lost and forgotten!!" ANSWER: Because the Sabbath is so very important, this is an assumption many have made. However, it is an erroneous assumption. Scripture itself prophecies that the true Sabbath would be forgotten. When truth is not cherished as it should be, Yahuwah removes it for safe keeping. When early Christians compromised, embracing paganism, Yahuwah Himself caused the Sabbaths to be forgotten. OBJECTION #2: "The weekly cycle has come down uninterrupted from Creation. Saturday is the seventh-day of the week so of course it is the true Sabbath!" ANSWER: Time itself is continuous. However, there are different methods for measuring that continuous time. A uninterrupted weekly cycle did not enter the calendar format until the Babylonians adopted one several hundred years before the Saviour was born. All ancient calendars had weekly cycles that restarted once a month on each New Moon, or annually at the close of the old year. On a calendar where the weekly cycle restarts each month, the days of the week always fall on the same dates of the calendar. When the weekly cycle restarts at the New Moon, the seventh-day of every week always occurs on the 8th, 15th, 22nd and 29th days of the month. Scripture supports this calendar format. It is significant that every time in Scripture a date is given for a seventh-day Sabbath, either directly or contextually, it always falls on the 8th, 15th, 22nd or 29th. This confirms that the Biblical calendar uses a lunar month in which the days of the week always fall on the same dates of the month. OBJECTION #3: "The moon was created on the fourth day! Obviously, it cannot determine the Sabbath because it was not created until Day Four of Creation week!" ANSWER: This argument is as much an argument against Saturday as it is against a lunar Sabbath. Saturday is found only in the late Julian calendar, a pagan calendar, and the modern Gregorian calendar, a papal calendar. Both the Julian and the Gregorian calendars are solar calendars. If the lights created on the fourth day cannot be used for time-keeping, then Saturday must be dismissed as well, because the Gregorian calendar is based upon the sun. The fact is, both the sun and the moon were created by a fiat of Creation. They were created when the mind of Yahuwah conceived and spoke them into existence. Yahuwah created age into everything. Adam and Eve are perfect examples of created age. Adam was not created to be a fetus or a new born baby, but a fully-grown man. Likewise, the birds and animals were not created as unhatched eggs or blind, needy baby animals. Just as when a jeweler sets a watch to the proper time, the Creator properly positioned the moon to accurately keep track of all time to come. When Yahuwah created the sun, He positioned it in a precise location: the exact distance from earth needed to provide the correct temperature; not too close, and not too far. He just as carefully and deliberately placed the moon in the precise position needed in order to operate His time-keeping system. OBJECTION #4: "My pastor told me that the luni-solar calendar was used only for the feasts, NOT the Sabbath!" "Let there be lights in the firmament of the heaven to divide the day from the night; and let them be for signs, and for seasons, and for days, and years." The word "seasons" comes from the Hebrew word, "mo'ed." 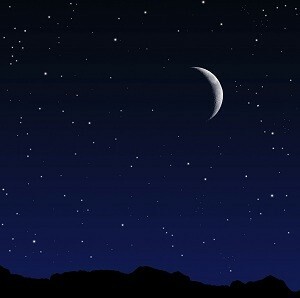 "He appointed the moon for seasons [mo'adah]." This clearly establishes that the moon was created for the express purpose of calculating the times of worship. The feasts (mo'adah) of Yahuwah are all outlined in Leviticus 23. The very first feast listed is the seventh-day Sabbath! Scripture does not present two calendars: one for the weekly Sabbath, and another for the annual feasts. Furthermore, it should be remembered that when the moon was appointed the work of establishing worship times, there were no other feasts! The only "feast" in Creation week was the weekly feast: the seventh-day Sabbath. OBJECTION #5: "John 7-9 proves that sometimes the weekly Sabbath falls on a date other than the 8th, 15th, 22nd or 29th. In this passage, the seventh-day Sabbath falls on the 23rd after the last day of Feast of Tabernacles on the 22nd!" 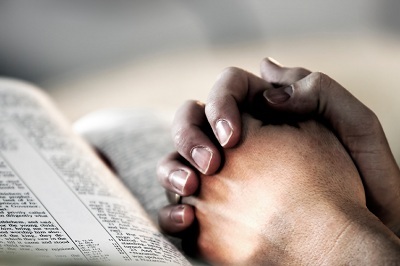 Feast of Tabernacles is a seven-day feast, followed immediately by the seventh-day Sabbath which, in Leviticus 23, is called a "holy convocation." beginning on the 15th and ending on the 21st. Feast of Tabernacles always begins on the 15th day of the seventh month, or, the fifteenth day following New Moon. It is a seven day feast, ending the 21st of the month. Thus, the very next day is a seventh-day Sabbath. The Saviour's heart of love could not turn aside from helping this soul in need. Some people have assumed that this Sabbath had to have fallen on the 23rd of the seventh month. However, this erroneous assumption is based upon an incorrect understanding of "the last day, the great day" of the Feast of Tabernacles. As explained in Leviticus 23, the last day of Feast of Tabernacles is the 21st of the seventh month, because it is only a seven day feast which begins on the 15th, a weekly Sabbath. Far from disproving the lunar Sabbath, John 7 to 9 actually supports it! OBJECTION #6: "But where does it explain the calendar in the Bible? Give me a text, just one text, that explains how the calendar worked!" The student of Scripture must ask: What is the weight of evidence? When all texts are brought together on the subject, what is the conclusion of the matter? It is impossible to prove a Saturday-Sabbath from Scripture. The weight of evidence clearly supports a Sabbath calculated from the New Moon, a "lunar" Sabbath. 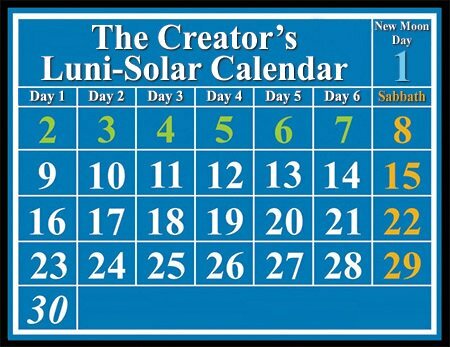 There is not a single verse in the Bible explaining the luni-solar calendar format because it was common knowledge! All nations originally used a luni-solar calendar. A common assumption made by many is that the Julian week in the first century BC and AD was identical to the modern week, starting on Sunday; ending on Saturday. Archeological and historical evidence establish without a doubt that the early Julian week was an eight-day week! When the pagan planetary week was finally accepted in the first centuries AD, it began on Saturn's day and ended on Venus' Day, or, the modern Friday. 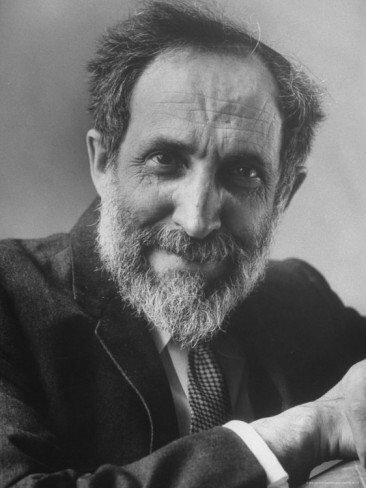 The likelihood of finding an explanation of the Julian calendar among the writings of the early "Church Fathers" is likewise highly improbable. As the Biblical writers assumed the readers knew the luni-solar calendar, so the paganized Christians assumed their readers knew the Julian calendar, as that was the calendar then in use. OBJECTION #7: "If the Jews at the time of Christ were keeping the wrong Sabbath, He would have corrected it. Since He did not, we can safely assume that they were keeping the true Sabbath." ANSWER: It is true that the Saviour would have corrected the Israelites if they had been worshipping on the wrong day. The very fact that He did not is evidence that at that time they were worshipping on the true Sabbath. Additional evidence that the Israelites were keeping the true Sabbath during the Saviour's time on earth is found in the fact that Saturday did not exist in the Roman Julian calendar of the day. The Julian calendar at that time had an eight-day week. The Israelites were still worshipping by the calendar of Moses, not the calendar of their Roman conquerors! OBJECTION #8: "Obviously Saturday is the true Sabbath. That's when the Jews worship and they have never lost the Sabbath." ANSWER: It is true that the Jews today worship on Saturday. It is also true that they have never "lost" the concept of a seventh-day Sabbath. However, by their own admission, they deliberately set aside the Biblical calendar calculated by the New Moon. The fact that Jews today worship on Saturday is NO evidence that Saturday is the seventh-day Sabbath of Scripture and should not be used as proof of anything except a change of calendar. OBJECTION #9: "On a lunar calendar, you sometimes get eight or nine days between Sabbaths. Obviously this is wrong, because the Sabbath is to come every seventh day." There are never more than six days of labor per week on the true calendar. 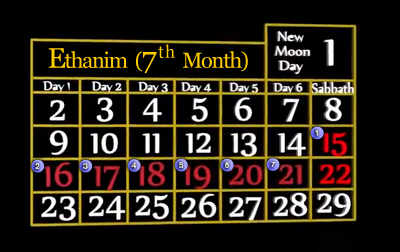 The weekly cycle restarts each new month, but New Moons are worship days. Because New Moons are worship days, there are never more than six working days before the next day of worship. On the modern solar calendar, New Moons are not even noticed, let alone observed as a worship day! And yet, New Moon, the day of worship which forms the foundation for Biblical time-keeping, will still be kept in the new earth throughout all eternity! If we are going to be worshipping the Creator on New Moons throughout eternity, should we not worship Him on those days now? OBJECTION #10: "The Lunar Sabbath is just so hard to understand! Truth should be so simple even a child can understand it. God would not make a test of faith out of anything this hard to understand." The truth is, children often have an easier time understanding the Biblical calendar than adults! Even a very young child can count to seven. The difficulty comes when they are required to memorize arbitrary pagan names for the days and the months. The subject of a different calendar is actually more difficult for adults to grasp because they have spent so many years living by the Gregorian calendar. A different method of time-measurement is, at first, very difficult for them to grasp. This topic is far too important to delegate to someone else's study, be he priest or pastor. 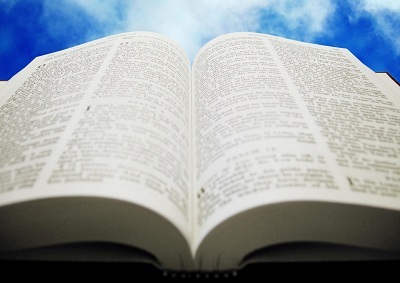 Everyone has a responsibility to study for himself the truths of Scripture. Yahuwah has promised to send the "Spirit of Truth" to lead all who want to know truth, into that truth. Please study this vital topic for yourself. Study it with an open mind - a mind that is willing to obey, if the Holy Spirit convicts you that it is true. Truth is too important to be brushed aside. Once it is presented, a person has an obligation to determine for himself whether or not it is so, and, if it is, to obey that truth. Will you determine to study for the truth? Will you obey that truth when you find it? Your eternal destiny may hang on the decision you make: to take someone else's word for what is truth . . . or to study for yourself.